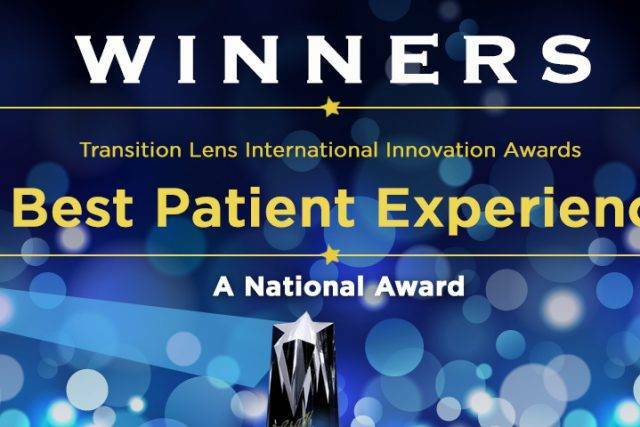 At the Solution Center in Westerville, Ohio we see patients from all over the Columbus area who are looking for highly specialized Vision Therapy. Our team of eye doctors, therapists, and staff are passionate about what we do. 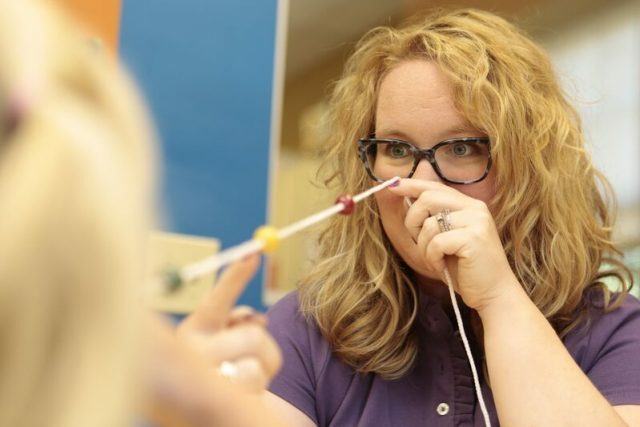 We see the tremendous life-changing impact that Vision Therapy offers to our patients. We care for infants to teens, patients with special needs, and athletes of all ages. Our goal is to help every patient have a wonderful experience and work at their best pace to graduate from Vision Therapy. 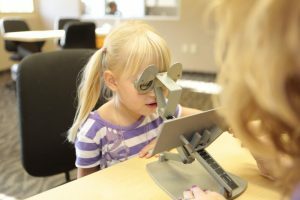 Our eye doctors are also experienced and skilled in providing vision care and comprehensive eye exams for children with autism, autism spectrum disorders, and developmental delays. Some of the visual/neuro-optometric conditions we diagnose and treat are issues involving eye tracking, eye teaming, convergence insufficiency, strabismus, and amblyopia. Learn more about Rehabilitative Vision for Vision Impairment. Vision Therapy is a process where the brain and the eyes are taught to work together more effectively. 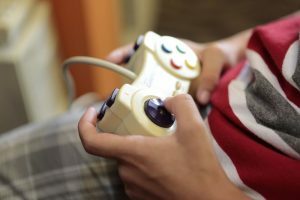 There are many elements in play with vision such as eye tracking, eye teeming, and eye focusing. Vision Therapy works like physical therapy where the therapists works at the patients pace to help them achieve their goals. Accomadative Focusing/Function (Problems related to strain caused from focusing. Vision Issues due to stroke, brain injuries, and developmental issues. Vision Therapy is an individualized program of physical therapy for the eyes and brain – it is a highly effective form of treatment for non-refractive vision problems such as low vision, eye alignment and lazy eye. It can help correct vision related learning issues and even improve vision related sports performance. Visual conditions that cannot be treated adequately with just glasses, contact lenses and/or patching are best resolved through a program of Vision Therapy. Vision Therapy can be the answer to many visual problems! Don't hesitate to contact our optometry practices in Westerville and Johnstown, OH with your questions. To read definitions of Vision Therapy by outside sources, visit children-special-needs.org. You are also invited to look through a National Catalog of hundreds of Vision Therapy Success Stories. Join us for this FREE workshop to learn more about how to overcome roadblocks in learning, and receive a $50 gift certificate for vision therapy testing! The workshops are held at the Solution Center, at 937 Polaris Woods Blvd. RSVP email scpatientcare@ohiovisioncare.com or text (614) 898-9989! The Solution Center is part of the Professional Vision Care group with full scope optometry practices in Westerville and Johnstown as well as a pediatric practice in Westerville. 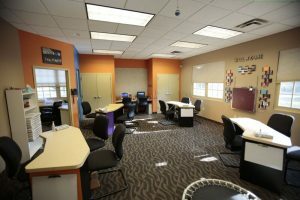 The Solution Center was founded as a way to better provide for the vision needs of our community. Our eye doctors, therapists and staff are passionate about helping children achieve their best and maximize their vision. We offer full scope Vision Therapy, pediatric eye exams for infant-18, and special needs eye care. The Solution Center is led by Dr. Carole Burns O.D. F.C.O.V.D, Dr. Burns is a speaker for the Vision Council of America and lectures nationally on the topics of pediatric vision, binocular vision disorders, sports vision, and learning-related vision disorders. Why Should You Choose Professional Vision Care For Vision Therapy In The Columbus Area? ✔ Help your child feel great about themselves by helping them learn better in school, look their very best, and see well. ✔ Caring and compassionate, our eye doctors, therapists, and staff lead the way with a fun and caring experience. ✔ Don’t take your child's vision for granted, schedule an appointment today! Eliminating Glasses With Vision Therapy? Vision therapy is NOT the same as self-help programs that claim to reduce refractive errors and the need for glasses. There is no scientific evidence that these "throw away your glasses" programs work, and most eye care specialists agree they are a hoax. In contrast, vision therapy is approved by the American Association of Optometrists (AOA) for the treatment of non-refractive vision problems, and there are many studies that demonstrate its effectiveness. However, Not every vision problem can be helped with vision therapy. Children that can be helped must adhere to the established vision program. The degree of success with vision therapy is determined by a number of factors. The patient’s age and his level of motivation are key factors. As important is the patient's performance of all eye exercises and visual tasks correctly. Furthermore, the type and severity of the vision problem are taken into account when evaluating the level of improvement with vision therapy. This near-vision problem is the leading cause of eyestrain, blurry vision, and double vision. Research demonstrates that the traditional focus exercise often called "pencil pushups" are ineffective. The only consistently effective treatment for convergence insufficiency is Vision Therapy. A study of almost 700 5th and 6th graders indicated that convergence insufficiency is much more common than many assumed. With 13% of students having CI, as well as demonstrating that of the children who showed three signs of CI, 79% where classified as being accommodative insufficient as well. Special needs such as autism, cerebral palsy, down syndrome, etc...often means children struggle with hand-eye-coordination. Those with such challenges, or anything requiring Occupational Therapy, gain immensely from Vision Therapy. A regimen of customized focus & perception exercises will improve depth perception & fine motor skills. 45% of patients with down syndrome have strabismus/cross eye. As many as 40% of autistic people have strabismus/cross eye. Estimates of incidences of strabismus in children with cerebral palsy go as high as 88%, Vision Therapy is effective for children with this. Strabismus and Amblyopia are forms of visual acuity problems that persist even with prescription lenses. In order to avoid double-vision, the eyes will often be misaligned resulting being "cross-eyed" or a "lazy eye". This not only makes it difficult to see and coordinate effectively, it can also be socially devastating. The traditional treatment has been patching, which contemporary research has found to be only partially effective at best, completely ineffective at worst. Unlike patching, Vision Therapy has consistently found to be an effective treatment for strabismus and amblyopia, resulting in sustained and significant improvement. Over 80% of learning is visual: 3 in 4 children with reading disabilities are affected by visual dysfunction in the Columbus Area. Learning Disability & Vision: What Does The Research Say? 60% of learning disabled students failed two or more binocular vision tests according to research by the Waterloo School of Optometry. The study was performed on students who had never received an eye exam and did not wear glasses or contacts. The research confirmed that children with learning disabilities, especially reading related learning disabilities have an extremely strong chance of having binocular issues (problems with the eye working together). According to research performed by The AAO 32% of university students had Binocular Vision Issues. "Because these dysfunctions have a negative effect on performance, appropriate vision evaluation for this population is extremely important. 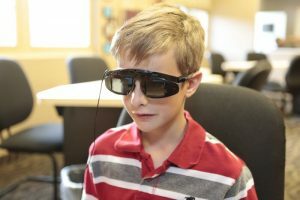 In this study 31% of the students needed Vision Therapy for symptoms such as eye strain, double vision and headaches. According to Dr. Debra Walhof M.D, member of the National Center for Learning Disabilities. "It is important to remember that normal sight may not necessarily be synonymous with normal vision..." Learn more about reading and vision therapy. Vision Therapy is used to improve vision skills such as eye movement control, eye focusing and coordination, and the teamwork of the two eyes. It involves a series of procedures carried out under professional supervision, usually by a specially-trained optometrist. Vision Therapycan be prescribed when a comprehensive eye examination indicates that it is an appropriate treatment option for the patient. The specific program of therapy is based on the results of standardized tests, the needs of the patient, and the patient's signs and symptoms. Programs typically involve eye exercises and the use of lenses, prisms, filters, occluders, specialized instruments, and computer programs. The course of therapy, which may take from several weeks to several months, is closely monitored by the therapist. Vision Therapy is a highly effective non-surgical treatment for many common visual problems such as low vision, vision related learning issues and even sports therapy. 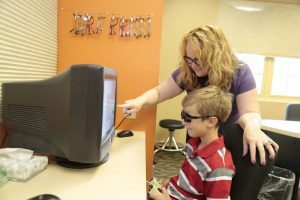 In the case of learning disabilities, vision therapy is specifically directed toward resolving visual problems which interfere with reading, learning and educational instruction. In the world of sports vision therapy can improve eye-hand coordination, depth perception, visual reaction time, peripheral awareness, eye teaming, focusing, tracking, and visualization skills (to mention just a few).